MARLBOROUGH, Mass.--(BUSINESS WIRE)--Sunovion Pharmaceuticals Inc. (Sunovion) today announced that Seebri™ Neohaler® (glycopyrrolate) Inhalation Powder, 15.6 mcg twice daily, is now available at pharmacies in the United States for the long-term maintenance treatment of airflow obstruction in people with chronic obstructive pulmonary disease (COPD), including chronic bronchitis and/or emphysema. SEEBRI NEOHALER is a long-acting muscarinic antagonist (LAMA). 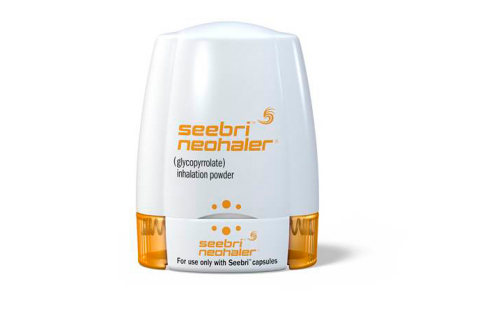 Sunovion announced that Seebri™ Neohaler® (glycopyrrolate) Inhalation Powder is now available at pharmacies in the U.S. for the treatment of COPD.